One of my fragrance-loving friends recently opined in a private e-mail that 2015 "was a banner year for perfume B.S." I'm inclined to agree. So many instantly forgettable scents tarted up with fancy packaging and purple prose. So many new collections offering so many new scents at once that I couldn't keep them straight in my head. So many cynical flankers and cheap re-workings of classics. 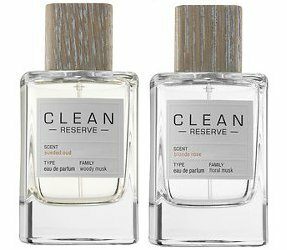 The Clean Reserve line has taken up residence in Sephora near other layer-able collections from Philosophy, Commodity and Fred Segal. I've tried two Reserve fragrances, Blonde Rose and Sueded Oud, and while I don't think they're bad, exactly, I just don't understand their raison d'être. (Yes, to make us spend money. You know me, though; I'm always concerned with meaning.) Sueded Oud, for example, bows to the never-ending oud trend with a composition of incense, blue cypress, birchwood, red pimento, honeysuckle, oud, jasmine, magnolia, fir balsam, sarcocaulon [a succulent plant also known as "bushman's candles"], suede, patchouli, amber, praline, musk and olibanum. Not exactly linen sheets dried in the sun, or any other signature Clean motif. To top things off, there's some verbiage about the Clean Reserve products supporting sustainable plant growth, ecologically sound harvesting practices and fair trade, all of which may be true, of course. However, if you raise an eyebrow when a small company like Raw Spirit goes on and on in earnest about sourcing and labor, you'll raise both eyebrows now. As usual, I'm probably missing the commercial point here while I get caught up in aesthetic concerns. Are there any long-time Clean fans out there? If so, have you tried anything from this line? What did you think? Clean Reserve Blonde Rose and Sueded Oud are available as 100 ml Eau de Parfum ($90 each) at Sephora. A six piece layering set is $45. Clean Oud is a rather annoying oxymoron! And yet, I’m not entirely sure whether to be disgusted by Clean’s shameless marketing, or to consider these a glass half full in terms of possibly engaging someone who hadn’t thought much about perfume with a playful layering approach. Also, these days I’m a pathetically grateful for anything woody that doesn’t have those accursed spiky woods. I might give Sueded Oud a sniff if I remember this the next time I’m in a Sephora. I have similar mixed reactions! If someone tries these two and realizes that she actually likes rose, or that she can wear a resiny-woody perfume (not just fruity-florals! ), then that’s all to the good. On the other hand, it just bugs me to see a brand with such a clearly defined identity start trying something else, for reasons of…? I don’t even know. I mean, Clean Oud? We used to joke about this, I think, when the oud trend first started! The pairing of Oud and fresh makes me laugh. Like an Oud Eau Fraiche would surely be ridiculous though if anyone has come across something like that, please comment. Arabs for a long time with perfume with Oud, incense and other woods and freshen up with orange or rose water. Oud Sport. Oud Delicat. Oud Sparkle. You are both cracking me up! Is their traditional lineup in trouble or something? I thought they were a quite popular brand but this feels like a massive repositioning in the marketplace which suggests that tastes are maybe veering away from laundry soap and summer rain type scents and they are trying to stay relevant ahead of that change. Even so, this whole new line seems completely unconnected from the existing brand. I’d even say it goes against the brand’s heritage and I do realize they are only thirteen years old. Now, if they’d hired me to develop a concept for them (Why didn’t they again?) I would have come up with something that connects back to the original idea behind the brand but still has the exclusive, niche feel that they are going for, maybe a bath themed collection with names like Frigidarium and Onsen. It would fit perfectly with the trend of history themed perfume lines and still tie back to the original idea behind the brand. As always, thanks for taking the time to write these reviews, Jessica. P.S. Lush had released an Alice in Wonderland themed soap for Valentines Day called Roses All The Way. It’s supposed to smell exactly like Rosy Cheeks! famous baths from history – great concept! Jonas, your first paragraph articulates everything I’ve been thinking about this collection. It goes against the whole original mission of the brand. Why? So odd. And I was in Lush literally three days ago and I did not see anything Valentine-related!! NYC is behind the curve, Lush-wise! Now I’ll be haunting them, waiting for this soap. There are a couple Clean scents I like because they’re uncomplicated but nice. Sweet Layer, Skin and Cashmere aren’t bad at really low prices, but I wouldn’t consider them luxurious by any stretch. Oh, and the hair mist is nice as well. See, I agree — it’s good to have access to affordable comfort scents. ElizabethW is one line that’s always done affordable comfort very well (Sweet Tea! Lavender! ), with matching body and home products. But this line doesn’t really offer anything new, even for Sephora — not the layering, not the scents themselves, unless you consider the crossover of vetiver and “oud” to the womens’ side. I tried the smoked vetiver from this line. I thought it to be a clean masculine scent. I thought it would smell better layered with ” sweaty man” smell. I generally do my own accidental layering. I don’t want to have to pay more to get the scent I’m looking for. Some of the scents feel like wearable, non-heavy masculines, and some are more feminine, as far as I can tell. It’s a mix. Like you, I *very* rarely layer perfumes. I do pair body lotions and perfumes, but that’s not quite the same. That name just cracks me up! It is the weirdest! Why not just release a fragrance called Oxymoron? Hey, has anyone used that name yet, come to think of it…? But I do like the six scents layering option. Wouldn’t that a great gift for an aspiring teenager perfumista? The layering set is fun, and I bet it will sell pretty well — most of the scents might not appeal to teens, I think, but as a 20-something I would have been all over it. I wish Jo Malone would release a similar set! Have you tried that scent? These. Scents. Do. Not. Last. Seriously. I could roll them ALL over my body, back and forth till 1/3 of the bottle is gone and still the smell has completely dissolved and disappeared an hour later. What a rip off. Lame. A friend of mine from work gave me a rollerball of Sueded Oud that she got from Sephora. She smelled so nice that I had to stop her and ask what she was wearing. She pulled it out of her purse and handed it to me and told me that I could have it. It’s obvious that its a unisex fragrance, but I love it. Its one of those unisex scents that has a tweak of sweetness to it that makes it feminine-friendly. Kind of like Tom Ford’s Santal Blush. If you like Santal Blush, you will probably like Sueded Oud. I am seriously debating purchasing this one.